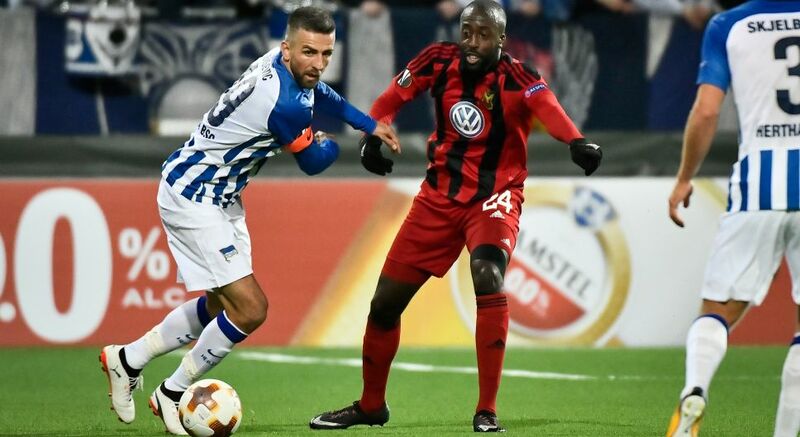 Östersunds' Brwa Nouri gave the Swedes victory against Hertha Berlin. After a goalless draw on Matchday 1, Hertha Berlin were beaten 1-0 by Östersund on Thursday to leave Pal Dardai's men trailing in the race for a knockout stage place. Östersund had beaten Galatasaray at the Jämtkraft Arena earlier in the competition, and Hertha found the going as tough as the Turkish giants had. The visitors fell behind to Brwa Nouri's 22-minute penalty after Jordan Torunarigha was adjudged to have handled. Despite the best efforts of Vedad Ibisevic, Hertha were unable to create a clear-cut opportunity to equalise, and would have conceded more but for a handful of fine stops by goalkeeper Thomas Kraft.